Dr Enshen Li is a lecturer at the TC Beirne School of Law, The University of Queensland. Dr Li's research interests lie in the field of comparative criminal justice, theoretical criminology, socio-legal studies of punishment and society. He specializes in the Chinese criminal justice and penal system and their implications for culture and society. 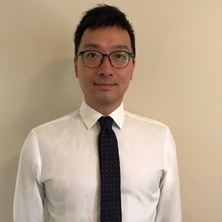 Dr Li has published a number of articles in leading law and criminology journals, including Columbia Journal of Asian Law, Criminology & Criminal Justice and British Journal of Criminology. He has also taught business and corporations law and criminology courses at La Trobe University and the University of Queensland since 2009. Dr Li receives his legal education in China, England and Australia. He worked as a lawyer in China before moving to Australia in 2008. After graduating from Shanghai University with a LLB, he practised primarily as a criminal lawyer and also participated in administrative lawsuits and business combinations. He was then funded by the Shanghai Justice Bureau to undertake his LLM in the United Kingdom. In 2011, Dr Li obtained his SJD from La Trobe University in 2011 and was awarded a PhD in criminology from The University of Queensland in 2015. He is currently a member of several international societies of criminology. Li, Enshen Punishment in contemporary China: its evolution, development and change. New York, NY, United States: Routledge, 2018. China's socialization of administrative offenders in the community: an unrealistic agenda? Li, Enshen (2016). China's socialization of administrative offenders in the community: an unrealistic agenda?. In Elisa Nesossi, Sarah Biddulph, Flora Sapio and Susan Trevaskes (Ed. ), Legal reforms and deprivation of liberty in contemporary China (pp. 43-62) Abingdon, Oxon, United Kingdom: Routledge. Li, Enshen (2014) The neoliberal penality thesis in China: when Western theory meets Chinese reality. Current Issues in Criminal Justice, 25 3: 803-817. Li, Enshen (2014) The new drug detoxification system in China: a misused tool for drug rehabilitation. East Asia Law Review, 9 2: 168-212. Crime control in China's pre-trial system: a political ideology? Between Reality and Idea : Is the Socialization of Chinese Administrative Offenders Realizable? Li, Enshen (2012) Between Reality and Idea : Is the Socialization of Chinese Administrative Offenders Realizable?. Asian-Pacific Law and Policy Journal, 13 2: 164-209. Li, Enshen (2012) Between Reality and Idea: Implementing the Rule of Law in China's Pre-trial Process. International Journal of Criminal Justice Sciences, 7 1: 398-415. Community drug treatment in China: a promising program or an incomplete project? Li, Enshen (2012) Community drug treatment in China: a promising program or an incomplete project?. Lawasia Journal, 27-52. Li, Enshen (2011) The Abuse of Guaranteed Pending Trial in the Chinese Criminal Process: A Violation of International Human Rights Law. Indonesian Journal of International Law, 9 1: 79-100. Li, Enshen (2010) Miscarriage of Justice in the Chinese Pre-trial Process: Authorities Vs. Suspects. Lawasia Journal, 11 83-111. Li, Enshen (2010) Prisonization or Socialization? Social Factors Associated with Chinese Administrative Offences. UCLA Pacific Basin Law Journal, 27 2: 213-260. Li, Enshen (2010) The Li Zhuang Case: Examining the Challenges Facing Criminal Defense Lawyers in China. Columbia Journal of Asian Law, 24 1: 129-169. Bronitt, Simon and Li, Enshen (2015). Beyond Zero Tolerance in Anti-Corruption Law and Policy: Selective Lessons from Australia, UK and US. In: The Sixth International Forum of Contemporary Criminal Law, Beijing, China, (). 22-23 August 2015.